two skeins of malabrigo worsted, colour dusty olive, for my so-called scarf. 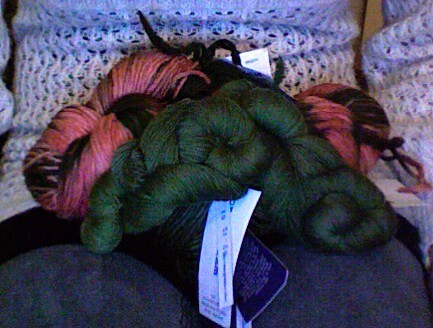 and two skeins of malabrigo lace (new! ), colour olive, for laminaria. now, how am i supposed to finish my giselle again?? and here i was even thinking of diving into curve of pursuit!